THE X Factor talent show had a new set of judges on Sunday – including a little girl from Goldsworth Park. Eight-year-old Maya and three other children swapped places with the usual line-up of adjudicators as Olly Murs performed his latest single. 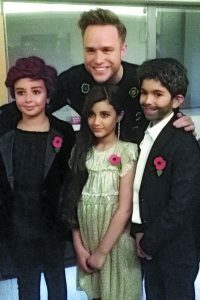 As Olly sang Grow Up, Maya moved in to Nicole Scherzinger’s seat and Sharon Osbourne, Simon Cowell and Louis Walsh were also replaced with young versions of themselves. During a live Remembrance Sunday special edition of the ITV programme, the camera cut from the stage to the judges to show the four waving their arms back and forth in time to the music. Presenter Dermot O’Leary was also substituted for a little lookalike. Maya was spotted as a young dead ringer for Nicole by the children’s talent and modelling agency she is signed with, Bizzykidz. “She looked the spitting image of Nicole,” said Maya’s mother, Sunny Angel. “It was her first assignment for the agency and Nicole said she was so beautiful. Sunny said Maya was a natural model and a talented singer and dancer with showbiz ambitions. 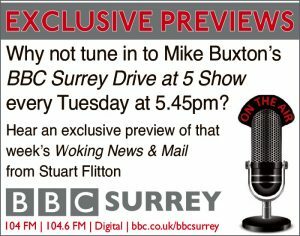 “She had such a lovely time and was just fantastic on the show,” she added. Maya was featured in the News & Mail three years ago, when her long locks were cut short for a donation to the Little Princess trust, which provides wigs for children suffering from hair loss.